Outdoors. 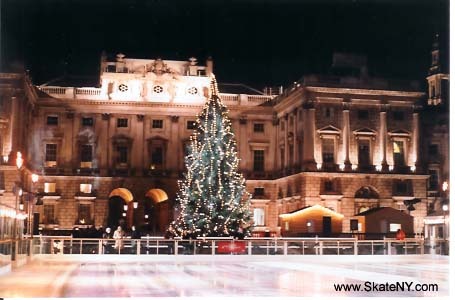 The most beautiful atmosphere of all the London rinks. It is very popular - evening sessions sell out days or weeks ahead of time. 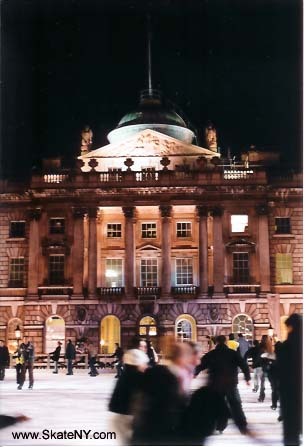 The rink is in the courtyard of Somerset House. 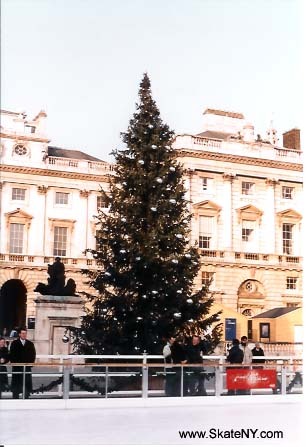 There is a Christmas tree on one side. 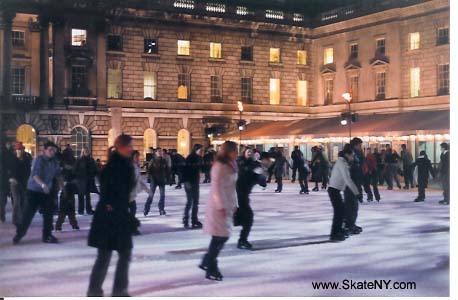 At night, there are lit torches at the sides of the rink. 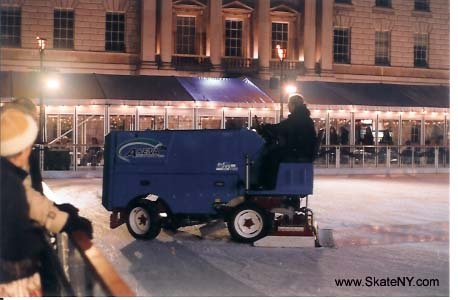 The ice is resurfaced after each session, so ice conditions are as good as possible on a crowded rink. 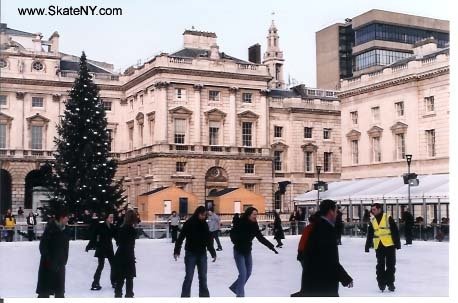 Skate rentals included in admission fee. Coat check is available for £1. The cafe has a good selection of snacks, including crepes and sandwiches for a light lunch or dinner. A convenient way of getting to the rink is to take the "tube" - the nearest station is Temple, but there are many nearby stations. 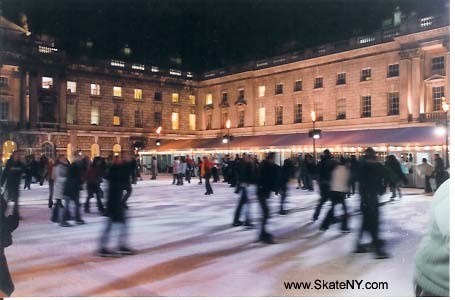 See the skating link on the Somerset House web site for more information. Last updated Nov 1, 2005.